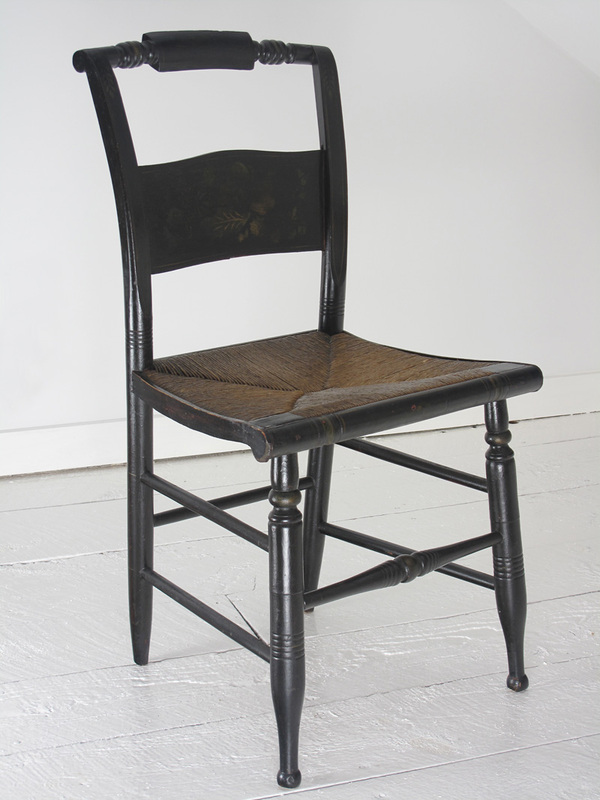 A 19th century Hitchcock chair, with a very sturdy rush seat. There is very subtle original stenciling over the classic Hitchcock black paint. The seating surface looks to have a bit of age to it, but in very good condition and very tight. The chair construction is completely intact and comfortable. Use it to complete a collection of Hitchcock chairs or mix it into a classic or shabby chic decor. The chair was acquired in New England, which is home to the Hitchcock company. The chair will ship by UPS. Please be in contact for shipping charges to your location. International shipping is offered. Buyer is responsible for shipping & handling charges. All furnishings ship with a great deal of care, and are insured for the full sale price.